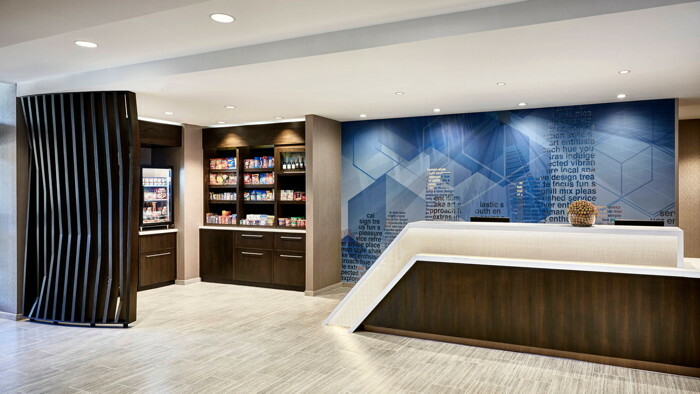 Marriott International announced that the SpringHill Suites by Marriott in Albuquerque, New Mexico is scheduled to open on Wednesday, May 16, 2018. The 94-suite hotel, located at 5910 Holly Avenue NE, will operate as a Marriott franchise, owned by Paseo Hospitality, LLC and managed by Total Management Systems, Inc. of Albuquerque, New Mexico. Located next to the Journal Center Business Park and 11 miles from Albuquerque International Airport. The hotel offers guests convenient access to Albuquerque Balloon Fiesta Park, Paseo Del Norte, the Sandia Peak Tramway and Albuquerque BioPark. Rates begin at $129 per night. Ideal for business and leisure travelers alike, the new hotel offers a little extra space with suites larger than a typical hotel room. Separate living, working and sleeping spaces provide guests with flexibility and functionality. The hotel offers comfortable beds, soft linens and plush pillows to allow for an optimum night’s sleep. Each suite also features the SpringHill Suites’ custom, three-in-one, West Elm sofa which converts from a sofa to a daybed to a trundle bed – without sacrificing its stylish good looks and a stylish West Elm Swivel Chair offering additional space for relaxation. The designated work space offers a well-lit desk space to ensure maximum productivity for those who need to get down to business. Daily complimentary breakfast is filled with hot, healthy and indulgent choices including fresh strawberries, steel cut oatmeal, cold cuts, cheeses and much more. This is SpringHill Suites’ way of making sure guests have a good start to their day. The hotel also offers business services, a meeting room, complimentary Wi-Fi, same-day dry cleaning, guest laundry facilities, an indoor swimming pool and a fitness center.